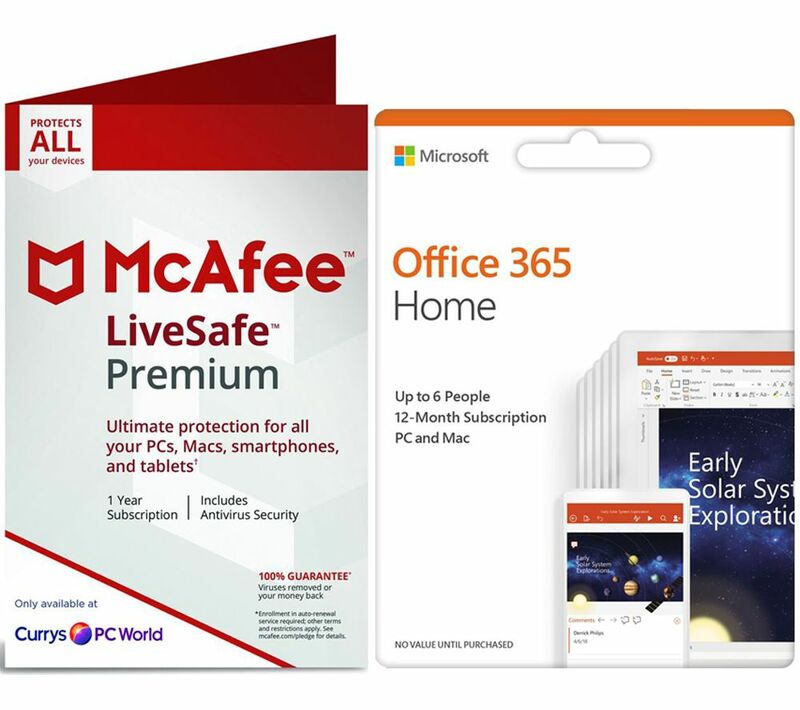 Get all the software you need in one place with the McAfee LiveSafe Premium 2019 for Unlimited Devices & Office 365 Home for 5 Users Bundle. 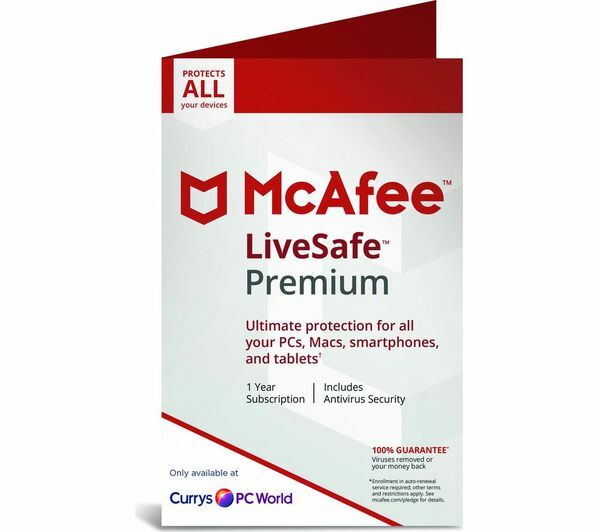 LiveSafe from McAfee employs anti-theft technology so you can lock and locate your stolen computer. Protect an unlimited number of devices, including PCs, Macs, smartphones and tablets. Your data will remain encrypted while you track the device, and should the computer be found, the information can quickly be recovered without the software having to be restored. Remotely wipe your data if your PC or device can't be found. True Key Identity Manager with biometric authentication lets you quickly log in to sites, apps and more using facial recognition for up to five users. Monitor your WiFi when you're not there, block unknown devices from accessing your WiFi and remotely monitor your network to make changes with ease. The iOS version for iPad and iPhone offers anti-malware protection and enhanced WiFi protection against unsecured WiFi networks. 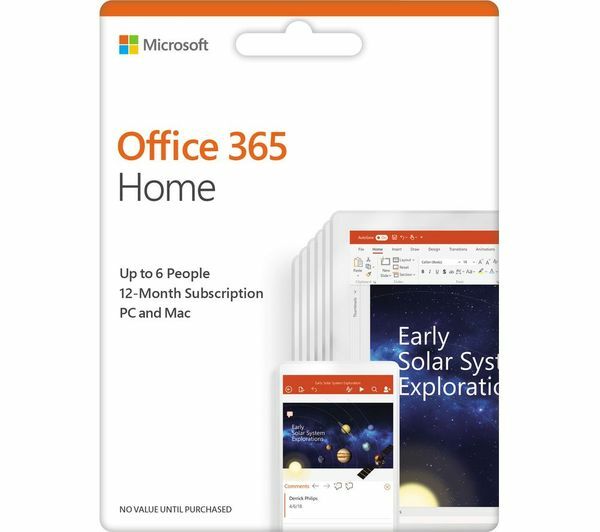 With premium versions of all your essential most-used apps in one place, you can be your most productive from the comfort of your own home. From classic tools such as Word, Excel and Powerpoint to handy helpers like OneNote and Outlook, you can create, collaborate and share your work in moments. With 1 TB of OneDrive cloud storage you can securely save, edit and share your files from all your devices, wherever you are. Just save your progress to the Cloud when you're finished and you'll always have the latest version of your files to work on, even if you're switching between devices. It's great to know that your files are safe across all your devices. With OneDrive ransomware detection and file recovery, you can rest assured your personal, private documents and files are safe guarded from viruses and phishing software, wherever you store or save them. Please note: This is a product key only. You will receive a product key and instructions on where to download your software. No disc is provided.